The North Ridgeville Fire Department utilizes and has members on the Lorain County Hazardous Materials Team (LCHMT). The team is made up of members from fire departments throughout Lorain County. It is governed by the Lorain County Fire Chief's Association and organized by the Lorain County Emergency Management Agency (EMA). The LCHMT is called upon to mitigate any hazardous materials incidents in the county that the local fire departments are not equipped to handle. Funding is mainly obtained from FEMA through grants and recovery costs from spillers. The LCHMT has multiple supply trailers strategically positioned throughout the county, as well as, a main decontamination trailer and tool truck. 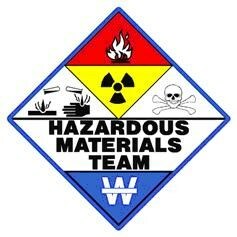 Members of the team must be trained to the level of Hazardous Materials Technician. The North Ridgeville Fire Department currently has two members on the LCHMT.